Last year we donated for the charitable project “Water for life in Malawi”. This guaranteed clean drinking water for the orphans of the Primary School and Nursery of the Franciscan Sisters as a result of sustainable wells. We offered themselves up as a project partner, not only actively supporting the technical coordination of well building materials, but also supporting the project with a financial contribution in the form of a 10,000 Euro donation. We continue to support this project, since there are still several wells to be built in order to achieve the best water supply for the children. We thank you in particular for the commitment the Franziskaner sisters in Malawi and alsoour colleagues who have worked with a lot of heart on this project. What is a matter of course for us decides between life and death in Malawi. Drinking water, our number 1 foodstuff, is a luxury item in one of the poorest countries in the world. Over there the St. Francis Catholic Primary School and Nursery with 1580 orphans is run on a voluntary basis. Long droughts and hardly any rain lead again and again to crop failure and famine, where many people lose their lives. Many children suffer from malnutrition or are orphaned and the sisters volunteer to look after them. Besides that, there is an acute shortage of electricity. This is strictly limited from day to day so that the waterworks are not in the position to pump the water far enough. Recently, the people in Madisi have been suffering particularly from the water emergency. The majority of the children have no access to drinking water to this day. In view of the situation the sisters decided to take initiative and the plan was made to have 20 wells drilled, which would be installed in the neighboring villages. The company STÜWA Konrad Stükerjürgen GmbH offered themselves up as a project partner, not only actively supporting the technical coordination of well building materials, but also supporting the project with a financial contribution in the form of a 10,000 Euro donation. “It was important to us that money was directly transferred to the people who were dependent on our help. Furthermore we also welcome the opportunity to visit the children on-site to convince ourselves of the progress.” Ralf Stükerjürgen. (Managing Partner of STÜWA Konrad Stükerjürgen GmbH). The sustainability of the well is expected to be guaranteed by, amongst other things, resistant PVC building materials, a solar pump which represents a certain independence from electricity, as well as training courses on-site. This should mean that simple maintenance can be carried out independently on-site. 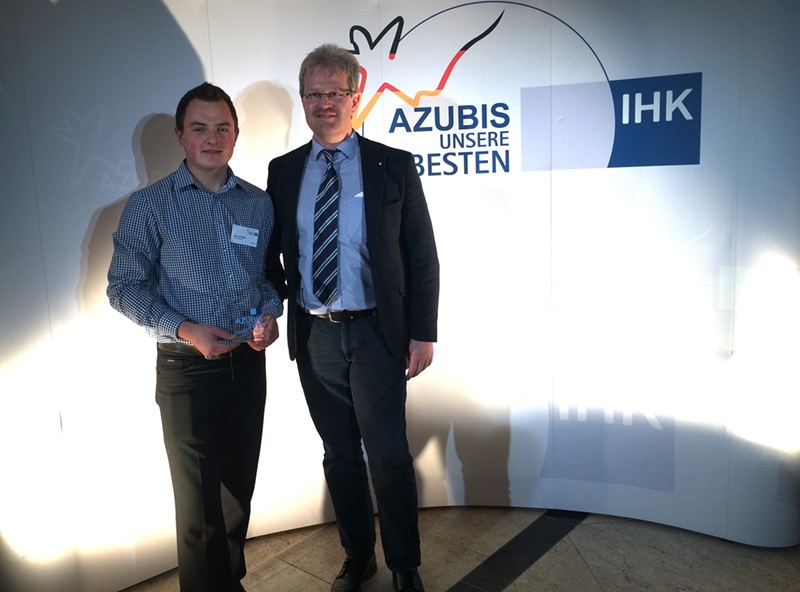 Manuel Böhle was honored with the award of best apprenticeship Germany in the department of water well drilling. He was invited to Berlin with his trainer Ralf Stükerjürgen. 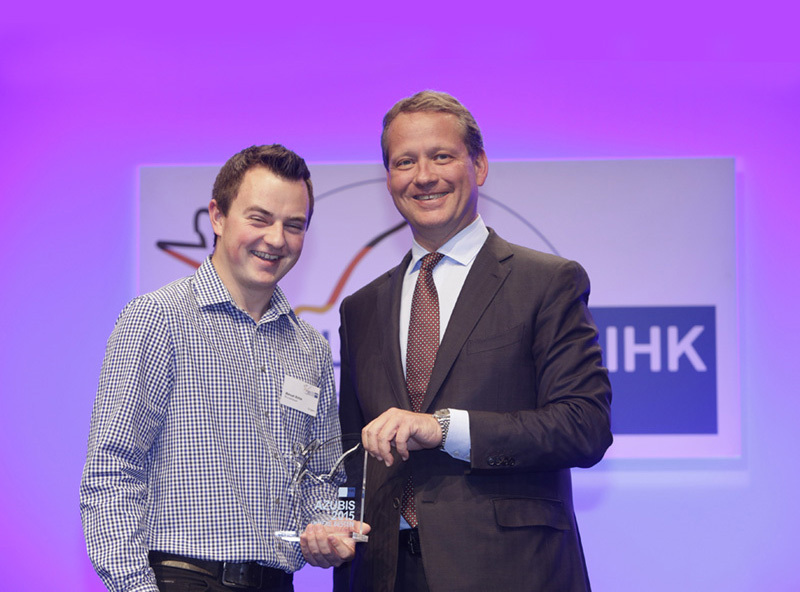 The award was presented to Manual Böhle by Eric Schweitzer (President German Chamber of Industry and Commerce) and Heiko Maas (Minister of Justice and Consumer Protection). We are really proud of the outstanding performance of Manuel and we would like to thank the vocation school Bau-ABC Rostrup for their support. 25th anniversary of our subsidiary in Vöcklamarkt, Austria. Thanks a million for the wonderful day! With bride sunshine we celebrated the 25th anniversary of Rausch & Rausch in Austria. Beside a varied training program for the visitor’s e.g. submersible pumps, water well standards and experiences in water well projects worldwide, particularly projects in Austria, we had enough time to celebrate, with good Austrian food, supported by the culinary skills of our colleagues and to exchange views and experiences. A big thank to the regional football club of Zipf for the amazing catering. We are looking forward for the next years! Based on our invitation, various water well drillers from Austria visited our two production plants in January. They were surprised by our vertical range of manufacture and our special products that we developed according to special customer requirements. They were shown the production site and extrusion lines for PVC– and PE pipes and its handling (up to a size of DN 600), modern VEE Shape production, bridge slotted screens and wire wrapped screens (up to diameter of 1600mm). Moreover the well drillers had the opportunity of visiting construction sites near to our headquarter in order to have a look on the installation. The demonstration of the various installed geothermal power systems and applications on the estate of the company and the visit of the „Climate Park“ in the town of Rietberg gave them an impression of the prospects of renewable energy. Questions were answered while enjoying some traditional German food, including an own beer pump on the table.